The Most Recognized Advertising Campaign Song of All-Time? While this season’s Lexus December to Remember holiday campaign is being panned, ridiculed, and parodied, we took notice on the astonishing long-term brand ramifications of it all. Team One, a unit of Saatchi & Saatchi, created the commercials, in which an unsuspecting husband or wife is confronted by the Lexus December to Remember jingle (you’d know it if you heard it), while their partner watches and waits in gleeful anticipation. The delivery method varies from spot to spot (a rock-band themed video game, a crystal music box, and oddly, elevator music), but the hook remains the same — slowly, the gift receiver recognizes the music (as does the viewer) and realizes they’re about to receive a $30–80,000 present. The big reveal is the couple walking towards a brand new Lexus, as always, topped with a big, red bow. The messy societal issues of such a campaign aside, the ads are a brilliant example of how short-term brand coherence can pay off in the long run, in surprising and unexpected ways. Lexus first began using the jingle, a shortened version of songwriter Steve Kujala’s “Family and Friends,” for the local Los Angeles market in 1999, taking it, and December to Remember, national in 2001. Year after year, come November, Team One and Lexus returned to the jingle, and now, 13 years later, it’s built up massive amounts of brand equity. 13 years is an eternity in the advertising world, and most jingles — even those supporting entire global brands — don’t have a shelf life half that long. Here we have a single seasonal campaign whose theme music has become so recognizable, that it itself can act as a playful hook supporting an entire campaign, almost singlehandedly. It’s these kind of results that show why brand equity is so important, and why sticking to your branding year after year can yield unexpected — and invaluable — results. No amount of money could have bought Lexus that kind of consumer recognition in a year, or even two. In branding, just like cooking, time itself is an essential component that can’t be replaced. So what do you think? 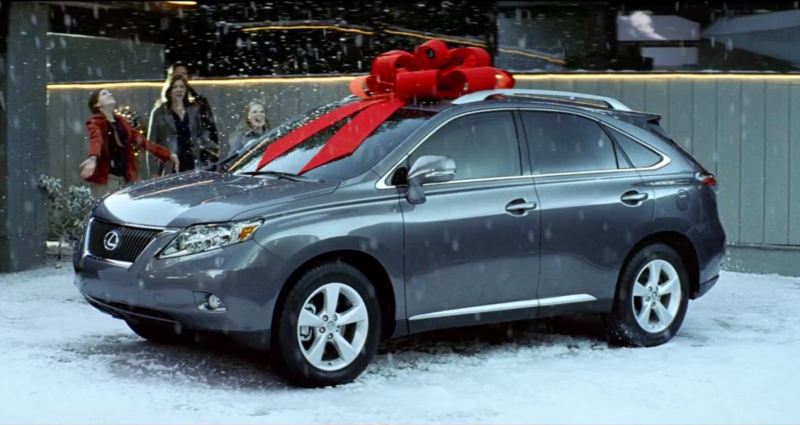 Are there other seasonal campaign jingles that can hold a candle to Lexus’ December to Remember? Let us know by leaving your thoughts in the comments below.